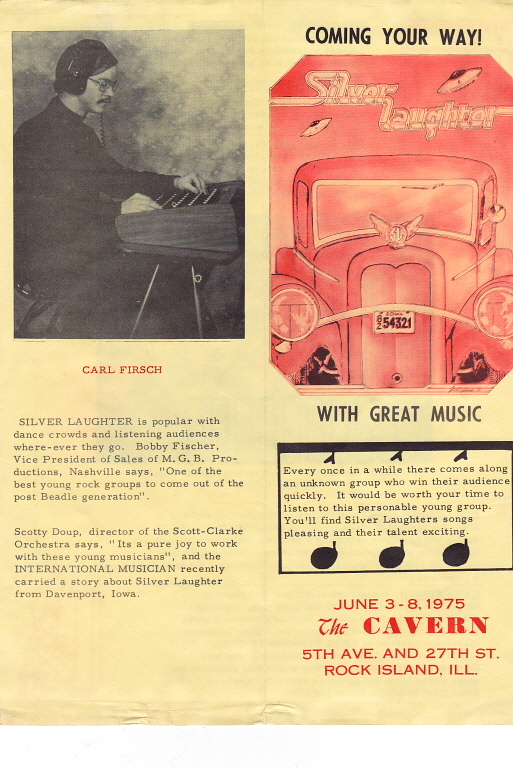 Mark Zaputil found and scanned this 1975 flyer that was done to promote our job at the Cavern located in Rock Island, IL (not Moline as previously noted). Page 1 details all the members of the band. For some reason my song writing ability was left out of the detail. And for some reason, many people have a problem differentiating between base and the electric BASS! I am not sure who wrote this for us or who did the drawings. But it features our first photo as a band after I joined. Band members were Kim, Mick, Mark and Jon. 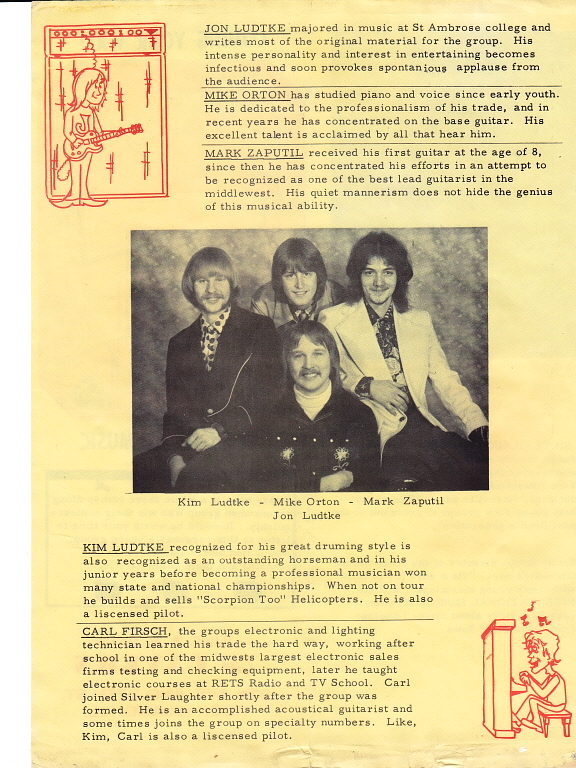 Page 2 features a photo of light and sound man, Carl Frisch at the sound board. This is a very interesting and extremely rare piece of memorabilia. ‹ An Ivory Coast Photo of Silver Laughter’s Ken Wiles Pops Up!